The Digital Archives Handbook provides archivists a roadmap to create and care for digital archives. Written by archival experts and practitioners, Purcell brings together theoretical and practical approaches to creating, managing, and preserving digital archives. The first section is focused on processes and practices, including chapters on acquisitions, appraisal, arrangement, description, delivery, preservation, forensics, curation, and intellectual property. The second section is focused on digital collections and specific environments where archivists are managing digital collections. These chapters review digital collections in categories including performing arts, oral history, architectural and design records, congressional collections, and email. The book discuss the core components of digital archives—the technological infrastructure that provides storage, access, and long-term preservation; the people or organizations that create or donate digital material to archives programs, as well as the researchers use them; and the digital collections themselves, full of significant research content in a variety of formats with a multitude of research possibilities. The chapters emphasize that the people and the collections that make up digital archives are just as important as the technology. Also highlighted are the importance of donors and creators of digital archives. Building digital archives parallels the cycle of donor work—planning, cultivation, and stewardship. During each stage, archivists work with donors to ensure that the digital collections will be arranged, described, preserved, and made accessible for years to come. Archivists must take proactive and informed actions to build valuable digital collections. Knowing where digital materials come from, how those materials were created, what materials are important, what formats or topical areas are included, and how to serve those collections to researchers in the long term is central to archival work. 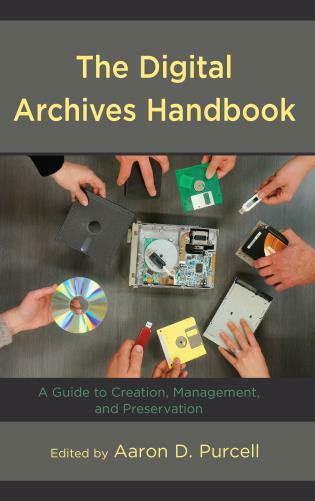 This handbook is designed to generate new discussions about how archivists of the twenty-first century can overcome current challenges and chart paths that anticipate, rather than merely react to, future donations of digital archives. « Çocukların eskisi gibi sıkılmalarına izin verin!